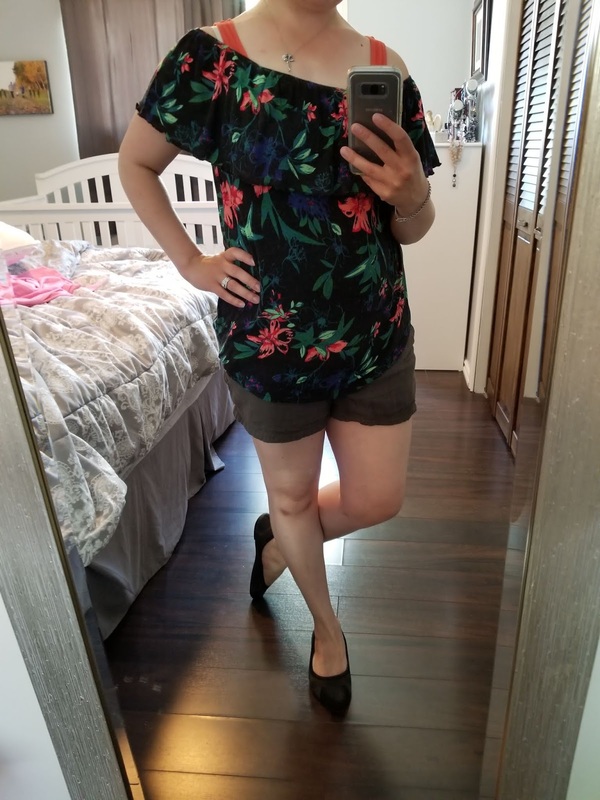 I switched to my Summer capsule because Spring was so stinking hot here and now the weather has cooled off! Isn't that how it goes? I love the cooler weather so I have been as happy as a clam. The beauty of a small capsule is that I wear every item quite a bit. The challenge is to come up with ways to make an item feel new or different. 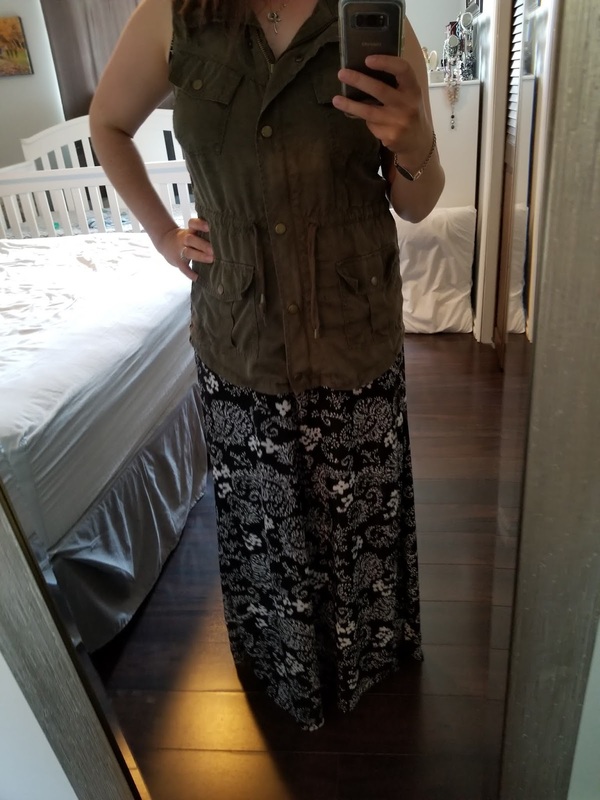 I am having a love affair with vests, right now. They help to add some dimension to my outfits, while hiding unsightly nursing bra straps. 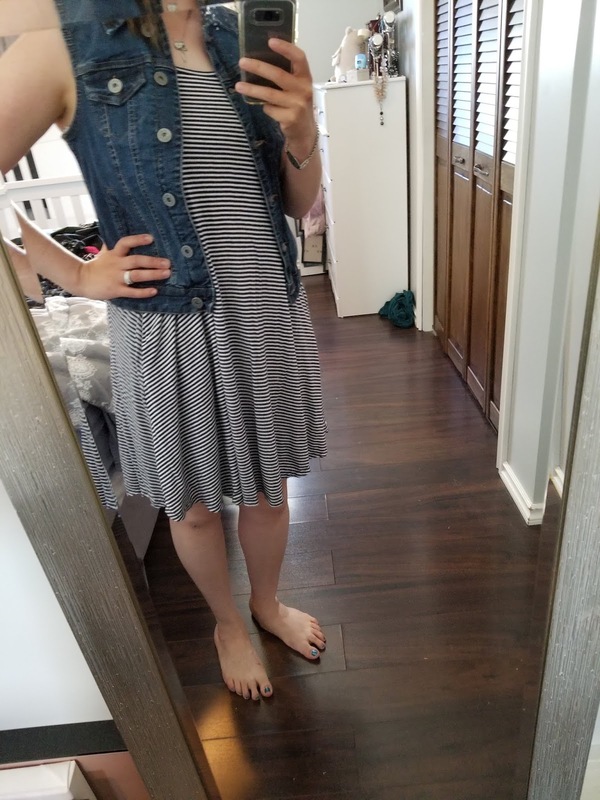 Nothing says summer like denim and stripes. 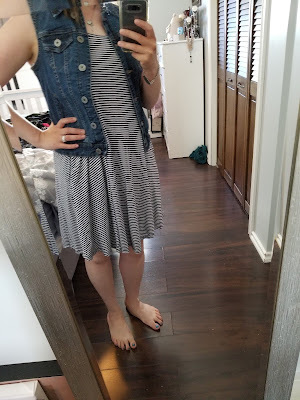 This maxi dress is very low cut. I usually wear a tank underneath but it was in the laundry. My vest did the trick to make it appropriate to wear in public. 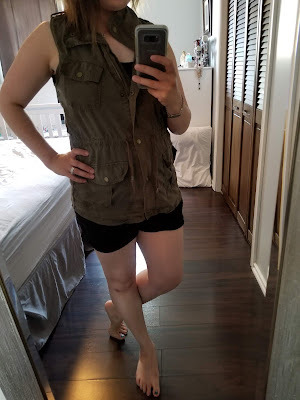 I wore the same vest as a top and I really liked how it looked. 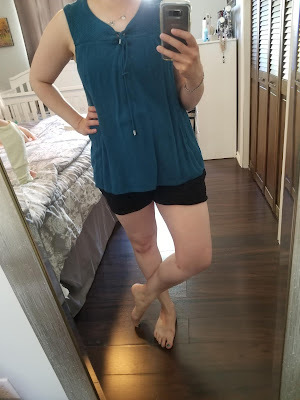 This off-the-shoulder top is quickly becoming my favourite top to wear. It has a nice flow to it so it doesn't cling to my mummy-tummy and it is super lightweight. I really like the colour of this tank. It also has a nice flow and is lightweight. I'm not a big vest person, but they look super cute on you! !